Hello nail geeks! Today we are going to talk Small Business Saturday! 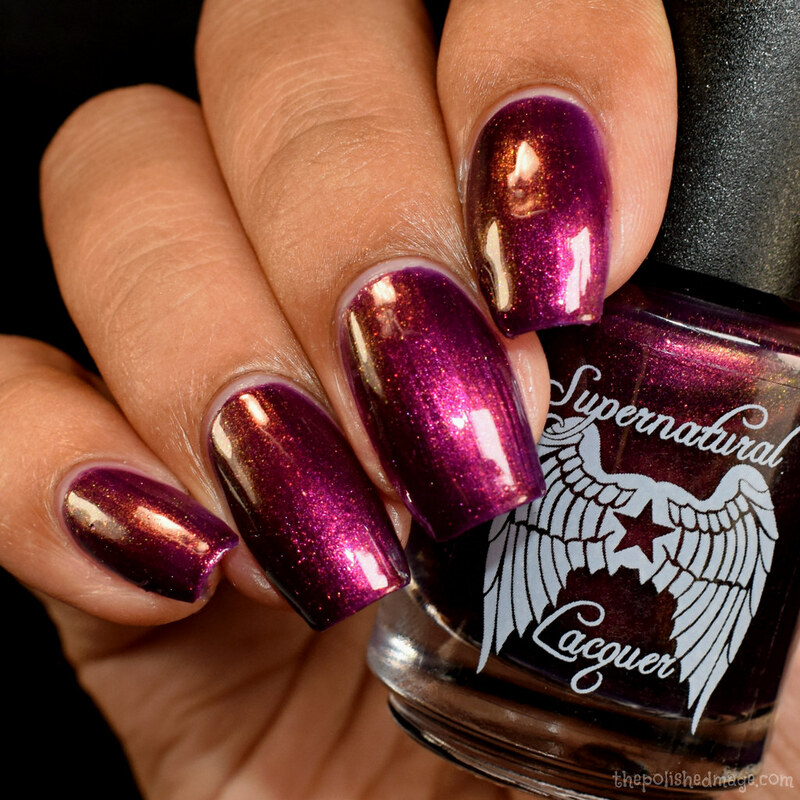 Supernatural Lacquer has several new goodies coming out, and I have three epic beauties to share with you! Let’s get to it! Hydrosphere: a scattered and linear holographic base with green/teal/purple duochrome shift, and green/aqua/purple UCC flakies. (Retail: $12, Small Business Saturday: $9) Only 75 bottles available. Swatches show three coats with topcoat. I think if I had shorter nails, I probably could have gotten away with two coats. Formula has a light feel but builds easily to opacity. The holo effect is linear, and compliments the super shifty flakes very well. No texture after topcoat. Swatches show three coats with topcoat. This is so stunning, the formula has an almost jelly feel and builds easily to opacity. I went in with really thin coats, so I think if I went in heavier it definitely would have been opaque at two coats. 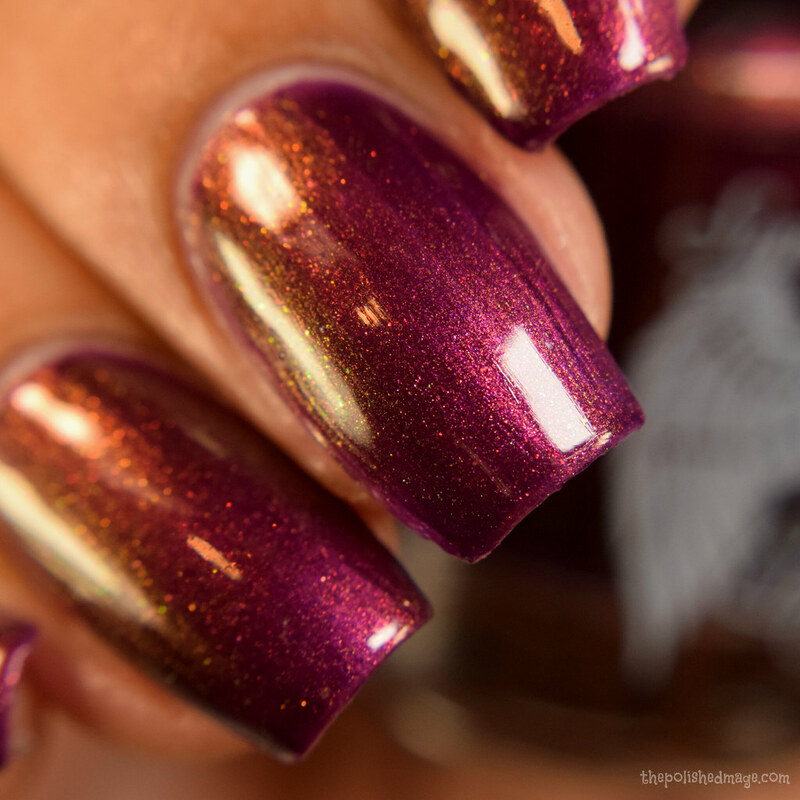 The base is such a lush royal color and the mutlichrome shift is reminiscent of aurora or unicorn pee pigment. (It is not). You’ll easily see a red, to gold to blue shift with green on extreme angles. This is part of a duo, so be sure to check out the sister polish in this set on the site! No texture after topcoat. Swatches show three coats with topcoat. Once again, I think if I went in a little heavier I could have gotten away with two coats. This one is so sparkly and there’s something to see in any lighting! The shimmer comes off mostly in a bright fuchsia, and shifts to golds and greens on extreme angles. The flakes picked up easily for me, and shifted like craze on their own. I’m pleased to report no texture after topcoat! These beauties and more will release Nov 24th at 1PM EST and be available through Nov 26 at 9 pm EST. There’s lots restocking as well to, so get in there and check it out!